Was anyone else as surprised as I was to see the article titled “Coconut Oil Isn’t Healthy. It’s Never Been Healthy” in USA Today recently? With new research coming out demonstrating its benefits for health conditions such as Alzheimer’s diseasei, diabetes, obesity, metabolic syndrome, and heart diseaseii, it is surprising that the American Heart Association is still saying that saturated fats are not good for us. It seems to be such an outdated position to take particularly since the personal experience of so many of us following a paleo or a keto diet (basically higher fats and reduced carbohydrates) has resulted in such an improvement in our health such as weight loss, increased energy, reduced inflammation and the stabilization of blood sugar levels. I gained a better understanding of what could be happening when I recently read the book “The Big Fat Surprise: Why Butter, Meat & Cheese Belong in a Healthy Diet” by Nina Teicholziii. Nina is an investigative journalist who spent nine years looking into the research and the origins of the “fats cause heart disease” story. The story starts with Ancel Keys who was a biologist at the University of Minnesota in the early 1950s. Ancel traveled around the world and measured cholesterol levels of various populations and the fat intake in their diets. Keys did find a relationship between fat intake and high cholesterol levels in 7 out of the 22 countries he looked at. In the other 15, no relationship was found. In 1956 he launched the Seven Countries Study that was to follow 12,700 middle-aged men in mostly rural populations. The results seemed to show conclusively the more saturated fat the participants ate, the greater their risk of heart attack. But the Seven Countries Study had some serious design flaws. Firstly, the choice of the seven countries were the exact ones that already confirmed his hypothesis so the study participants were not randomly chosen, one of the gold standards for good credible research. Secondly, the larger the sample size in a study the more accurate the results. 12,700 participants is a good number but unfortunately, only the diets of 499 of them, or 3.9% of the total were evaluated. Thirdly, the Seven Countries Study was an epidemiological study. This type of study creates a limitation because you cannot prove causation with this design only association which is a much weaker conclusion. And by the way, the lead Italian researcher went back and looked at the data in 1999 and discovered a higher correlation with sweets and heart attacks than with saturated fats. iv Epidemiological studies are common but it is very important that we understand the error in making conclusions about causation. That error was clearly made in this case. The most disturbing flaw in the study was the fact that the survey time period in the island of Crete was during the Greek Orthodox period of Lent which affected 60% of the study population. So 60% of the participants were not eating their normal diet of fish, eggs, cheese and butter and these nutrients were severely undercounted. If these design flaws had been known at the time, the Seven Countries Study probably would not have been published. Instead, Keys buried any concerns about the data and aggressively touted his theory that eating saturated fat leads to high cholesterol and high cholesterol leads to heart disease. Keys had plenty of critics and skeptics of his diet-heart hypothesis but after he maneuvered his way on to the nutrition committee of the American Heart Association and convinced his colleagues that his hypothesis was truth, his critics were largely silenced. Many lost research funding, lost their jobs and speaking engagements or couldn’t get published. So, a strong willed and charismatic individual, loudly proclaiming his research conclusively proves the diet-heart hypothesis, silencing detractors and having both the AHA and the National Institute of Health (NIH) on board and voila, you’ve got the cornerstone of nutritional recommendations for the next 50 years. There have been other studies that were larger and better designed that should have backed up Key’s claim but they didn’t. The Framingham Heart Study was started in 1948 in Framingham Massachusetts with 5000 middle-aged men and women. It is the longest running study ever, still going today, that examines risk factors for heart disease. 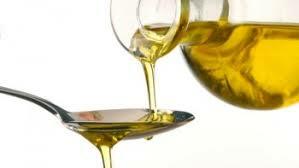 Vegetable oils have to be highly processed in order to even be palatable. First they are extracted in high heat, with a petroleum-based solvent (hexane, a dangerous chemical) to extract the oil. The hexane is then separated out from the oil so very little of it is left in the oil, but even a very small amount is still dangerous. Then, in order to make the oil edible, it has to be filtered, bleached, and deodorized. The majority of vegetable oils produced in this country are made with genetically modified crops. I will devote another article to the topic genetically modified foods but suffice it to say that GMO crops are a serious threat to the health of American citizens and we should not eat them. Coconut oil and its derivative MCT oil is becoming more popular because of its ability to help you burn fat and lose weight. We are all aware of the health problems that are caused by or exacerbated by extra weight. Blood pressure tends to go down when we lose weight, high blood sugar and insulin levels begin to normalize with weight loss, and hormones become more balanced. Given all that, I have difficulty even considering the idea that consumption of coconut oil could be a risk factor for heart disease especially since it has been shown to raise HDL cholesterol levels, which is protective against heart disease. Clearly we have not heard the end of this story. So much conflicting information from seemingly reputable sources can be confusing and leave us wondering about our food choices. My overall dietary selection criteria is this: I steer towards food that is as close to its natural state as possible. If it has been highly processed, it has lots of added sugars and chemicals or if it has been made in a laboratory, my experience has taught me it is not going to be a healthy food for me. i Yang, H.Y., de la Rubia Orti, J.E., Sabater, P.S., Castillo, S.S., Rochina, M.J., Ramon, N.M., & Montoya-Castilla, I. (2015). 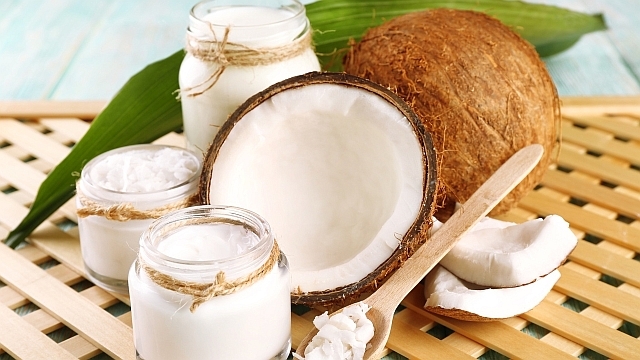 Coconut oil: Non-alternative drug treatment against Alzheimer’s disease. Nutrition in Hospitals, 32(6), 2822-2877.
ii2 Cardoso et al. (2015). A coconut extra virgin oil-rich diet increases HDL cholesterol and decreases waist circumference and body mass in coronary artery disease patients. Nutrition Hospitals, 32(5), 2144-2152. doi: 10.3305/nh.2015.32.5.9642. iii3 Teicholz, Nina. (2014). The Big Fat Surprise: Why Butter, Meat & Cheese Belong in a Healthy Diet. Simon & Schuster, NY. iv Menotti, Alessandro, Daan Kromhout, Henry Blackburn, Flaminio Fidanza, Ratko Buzina, and Aulikki Nissinen. “Food Intake Patterns and 25-Year Mortality from Coronary Heart Disease: Cross-Cultural Correlations in the Seven Countries Study.” European Journal of Epidemiology 15, no. 6 (1999): 507-515.
v Anderson, Keaven M., William P. Castelli, and Daniel Levy. “Cholesterol and Mortality: 30 Years of Follow-up from the Framingham Study.” Journal of the American Medical Association 257, no. 16 (April 24, 1987): 2176-2180.
vi George V. Mann, interview with Nina Teicholz, October 5, 2005.
viii Castelli, William P., “Concerning the Possibility of a Nut…” Archives of Internal Medicine 152, no. 7 (July 1992): 1371-1372.
ix Seaman, D.R. (2002). The diet-induced pro-inflammatory state: a cause of chronic pain and other degenerative diseases? Journal of Manipulative and Physiological Therapeutics, 25(3), 168-179.
xi Mozaffarian, D., & Ludwig, D.S. (2015). The 2015 US Dietary Guidelines: Lifting the Ban on Total Dietary Fat. Journal of the American Medical Association, 313(24), 2421-2422.